Anxiety, a mental illness that's slowly receiving the awareness it needs, is a daily battle for a wide range of people. I've suffered with it throughout my life on different levels, especially the past few years. However, I can now say I've come out on top, feeling better than ever.Through those hard, gruelling moments where I thought anxiety would take over, knocking my confidence and drive, I can safely say through the support of friends and perseverance, I got to where I am today; on a happier journey with my mental health. I've come incredibly far and even though the anxiety is still there, it isn't a prominent hindrance in my life anymore. I tried, I conquered and life became a joy once more, 2016 has certainly been the best year by far. 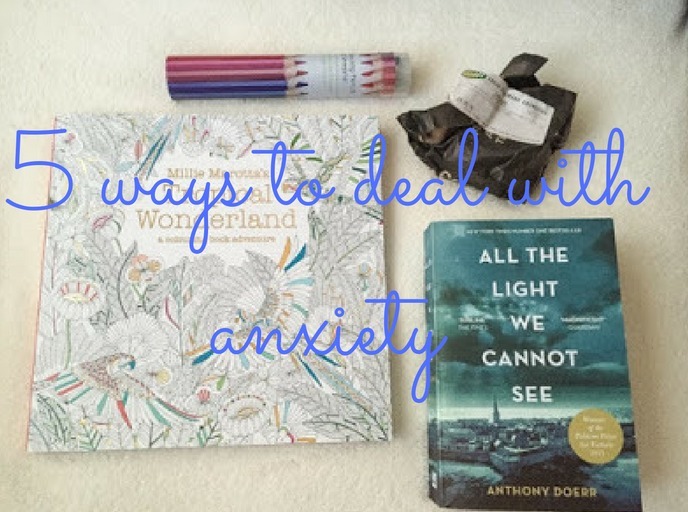 Today, therefore I wanted to share with you my ways on how to cope with those 'anxious days', where anxiety takes over and you'd rather hide away from the world than face the outside of your front door. Dwelling makes things a hundred times worse so I find in these bouts of anxiety, that treating yourself, being creative or doing what you love is the way to go. Read a book - When my thoughts are spiralling out of control, nothing better can bring me down to earth than escaping into a story. Ever since I was small, I found reading as the perfect unwinding method and coping mechanism. You're able to use your imagination for good, turning those words on the page into images in your head. Whether it's fiction or a funny autobiography, whichever will put a smile on your face during your anxious state, pick up and indulge. Unwind in the bath - As a major Lush and bath fan, I adore being able to fill up the tub with bubbles and soak it all up. When laying back and closing your eyes, all the minor worries seem to just float away and you can truly just focus on you. I find baths a perfect time to practise my breathing exercises too if I find myself in a panicky, anxious way. Colouring in - My friends recently bought me one of those adult colouring books and I've heard beforehand how they're beneficial for mindfulness. I have to admit it's true, when you're colouring in and focusing on the intricate detailing of the pattern, your mind gets distracted and doesn't focus on the anxious, negative thoughts. Go for a walk - They say exercise is not only good for physical health but mental also. Walking, on the beach, park or to my local shop really refreshes the mind. I just pop in my favourite tunes and take a break away from what I'm focusing on. It gives me a chance to breathe and exercise away my worries. I'm lucky to say, I live incredibly close to many beaches and parks so a breath of coastal or country air are only minutes away. Take the opportunity to pop out the house for ten minutes and absorb the fresh air. Meet up with your friends - The last way that helps me feel a thousand times better is being or talking to my best friends. They have the ability to make the situation easier and put a smile back on my face even when I'd rather sit and cry with my thoughts. If you're feeling anxious, either text, call or even invite your pals over, I can guarantee you a bit of loving company will take away your weighted thoughts. Anxiety is different for everyone and each person has their own ways of dealing with every situation it throws at you. 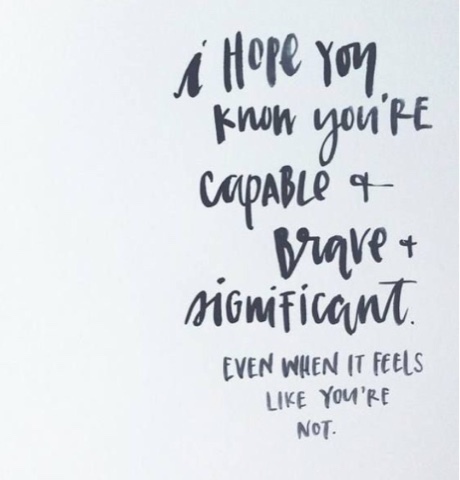 But the main thing to remember is you can and you will get through it. It can come in horrific ways yet will gradually get better with time, positive thinking and hope. You are not anxiety and anxiety isn't you. Take on board whatever life throws at you and give it your best shot, it's all anyone ever asks. You're a brave, brilliant and strong individual - You've got this! I hope you enjoyed this anxiety tips post. What are your best coping methods for anxiety? I have tried all of these in the past and found all of them to help in some way - especially seeing friends. Sometimes you just need to take your mind off things and stay busy. I also find going to a fitness class helps me, being in a room with lots of other people always makes me feel a lot better, but you're right, it's such a different experience for everyone. 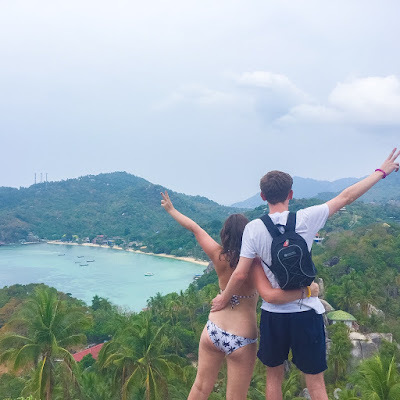 This is a really helpful post and I'm glad that you are feeling better ! I hope you manage to keep on controlling it ! Great tips - I always go for a walk if I'm feeling like that, I feel like the fresh air and change of scenery really helps. Also - thats my FAVOURITE book (in the pic), I love it!